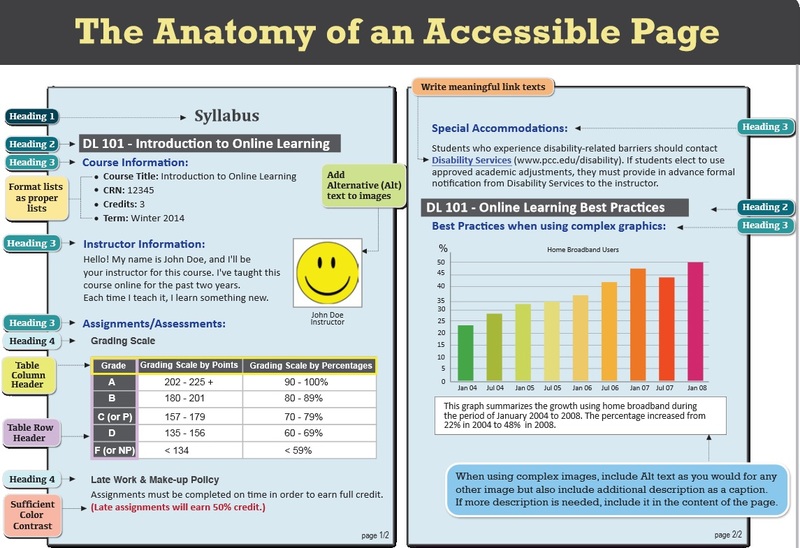 Accessibility in Online Learning | A . T . T . N ! The Minnesota Online Quality Initiative (MOQI) is offering free webinars throughout spring semester. The variety of topics such as, using discussion boards to increase engagement, accessibility, Universal Design (UDL), learning objectives, assessment, and using MediaSpace to record lectures are sure to be of interest. Best of all, it’s free. Review the list and register for a webinar today. When possible, use HTML topics to create your course content. D2L provides accessible HTML templates to streamline the content creation process. If you need to use other file formats, such as video files, choose formats that are recognized by most browsers or offer the material in multiple formats. Use a simple layout that does not use tables or columns to organize information. When information is organized simply, it is easier for students to read and understand. 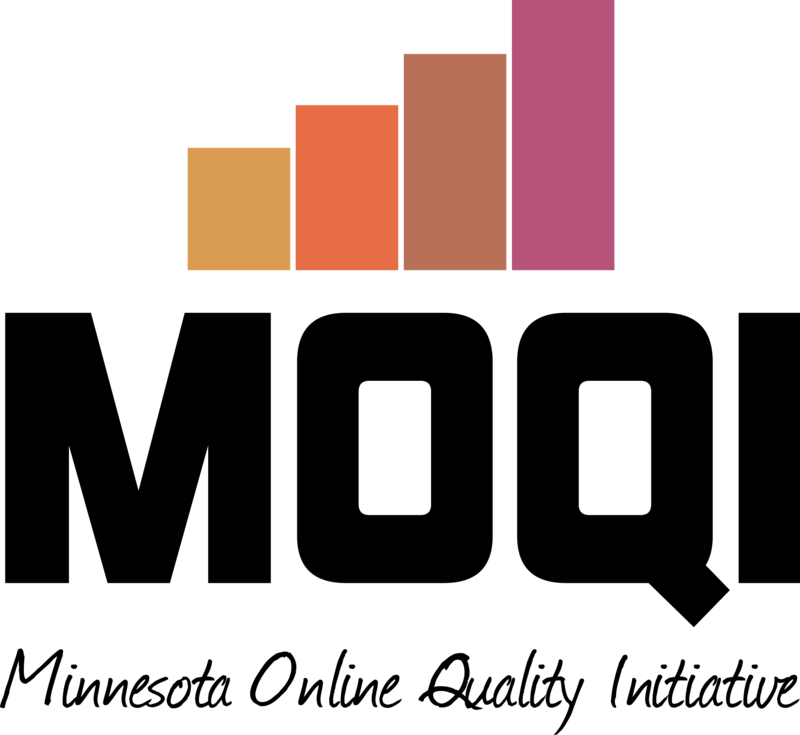 Simple layout is also easier for assistive technology devices to interpret and present, and for mobile and handheld devices to resize. Do not use color to convey meaning. If you want to show how concepts relate to each other, use a combination of size, color, and text labels. Make sure each heading, item, and file name are unique. Include alternative text descriptions (alt text) for all graphics. Use double quotes (null) as the alt text if the object is a decorative element that does not add meaning to the topic. If the graphic is a link, begin the alt text with “Link to”. The HTML Editor in Brightspace Learning Environment automatically prompts you to include alt text when you insert an image. Ensure that there is a strong contrast between the text and the background colors in your course materials. If you create PDF files from Microsoft Word or another word processor, format titles and sections using heading so they are correctly tagged in the PDF. Watch this webinar to learn the basics of how to add closed captions to online video to make it fully accessible, searchable, and SEO-friendly. This webinar covers Section 508 and ADA accessibility compliance, creation of closed captions, explanation of caption formats and video player compatibility, as well as an overview of automated workflows and integration with lecture capture and video platforms. In this webinar, Rob Carr, the Accessibility Coordinator at Oklahoma ABLE Tech, will present on the various jobs and responsibilities that are required in implementing a well-rounded accessibility program. 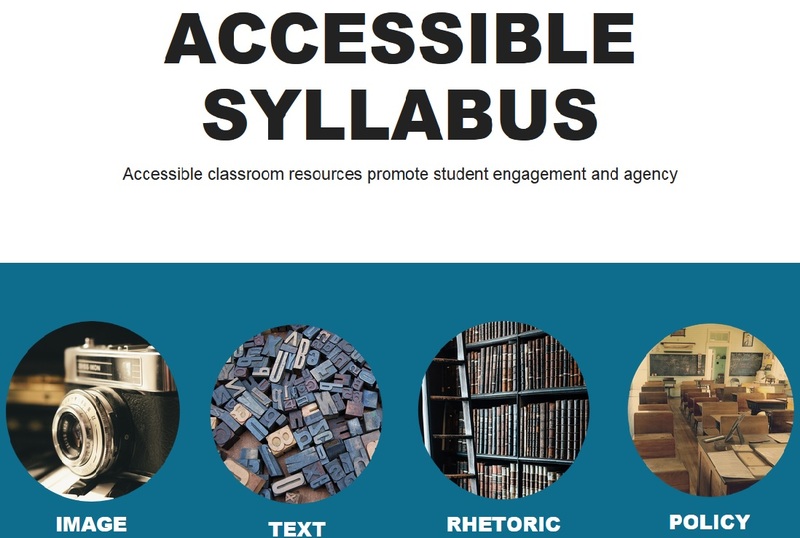 He’ll also provide you with the necessary tools to begin conversations for a campus-wide accessibility initiative. In 1999, NC State University resolved a suit from the Department of Education Office for Civil Rights (OCR). But what does accessibility at NC State University look like 15 (actually 17) years later? In this session, Grey Reavis (University IT Accessibility Coordinator) and Rebecca Sitton (Assistive Technology Coordinator) will look at how they are creating a proactive strategy to address the current risk areas on campus. In this webinar, Ana Palla-Kane (IT Accessibility Specialist) and Susan Johnston (Instructional Designer) will dive into the design and implementation of their IT accessibility plan, providing an inside look into the University of Maryland’s own strategies and structure. They will discuss the specific steps taken by the Division of IT in designing and implementing the plan, as well as provide insight into first-year successes and challenges. Join us to learn more about 3Play Media’s closed captioning process, services, tools, and standards. In this webinar, Chief Revenue Officer and co-founder Josh Miller will address how 3Play Media can help make your videos fully accessible, searchable, and more engaging for all viewers. National Research Results: How & Why Do Students Use Closed Captioning? In this webinar, Dr. Katie Linder, the head researcher on the project, will present for the first time on the findings of a national study of over 2,500 students. She will take a close look at how students use and perceive captioning and transcription at their institutions (beyond the need for accommodation). This webinar will be presented by Lainey Feingold, a nationally recognized disability rights lawyer and pioneer of Structured Negotiation known for negotiating landmark accessibility agreements. In the Fall of 2016 the American Bar Association is publishing Lainey’s book, Structured Negotiation: A Winning Alternative to Lawsuits. Her presentation will analyze key cases, government agency activity, settlements, and other developments in digital accessibility through September 2016. You recognize the need for an electronic information technology (EIT) policy at your college or university, but now what? In this webinar, the Johns Hopkins University (JHU) EIT Accessibility Team reveals how they successfully went about planning, designing, and implementing an accessibility policy at their institution. Earlier this year, the Oregon State University Ecampus Research Unit conducted two nationwide research projects on closed captioning in higher education. In this webinar, Dr. Katie Linder, the head researcher on the project, will present for the first time on the findings of the institutional survey. Katie will take a close look at the results from over 50 colleges and universities nationwide, focusing on the challenges of and solutions for captioning. In this webinar, one of the architects of the ADA, Bobby Silverstein, will discuss his perspective on the development of the ADA, as well as on its application to modern technology, the Internet, and accessible workplace technology.